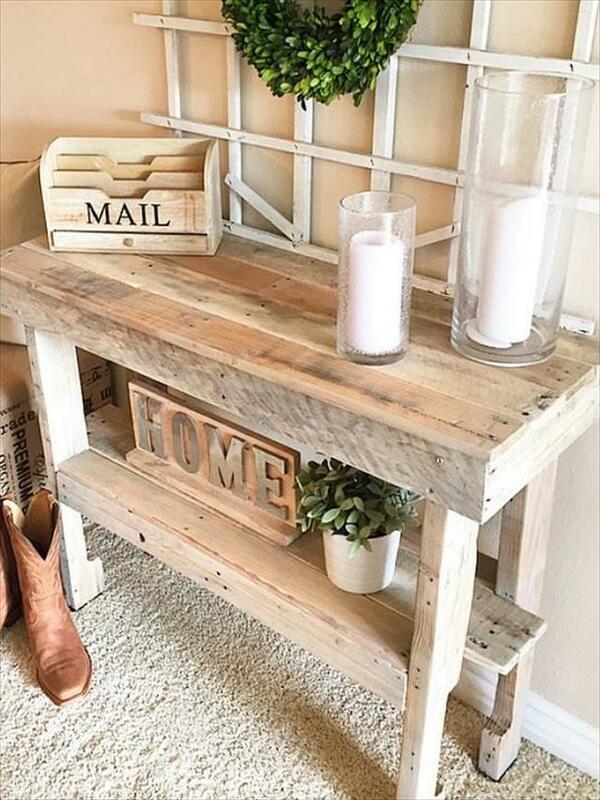 A home can gain a great decorative value only if it is having all its locations well decorated, especially the entryway which makes the ever first impression of your home to all new entries! 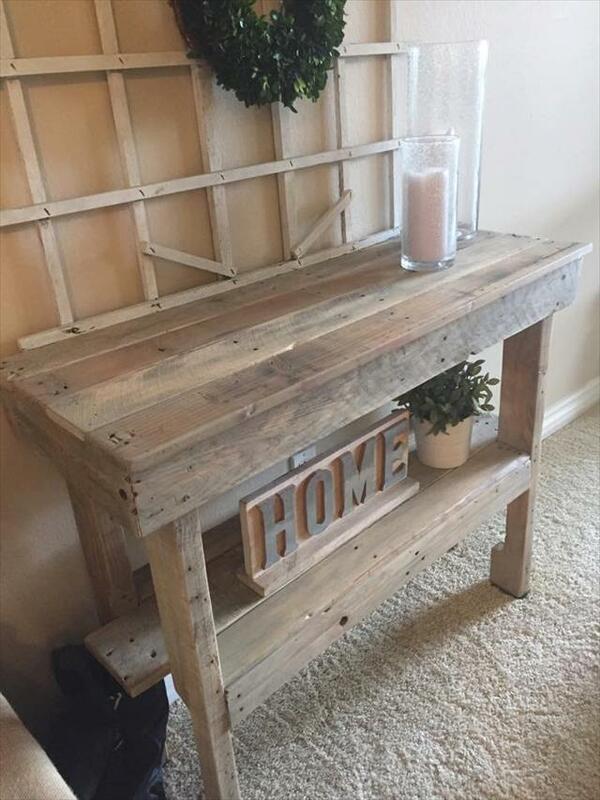 Looking for a stylish entry way table to display some of your fanciful decors at home primary access point, this free DIY pallet entryway table model is all ready to be added to your home! 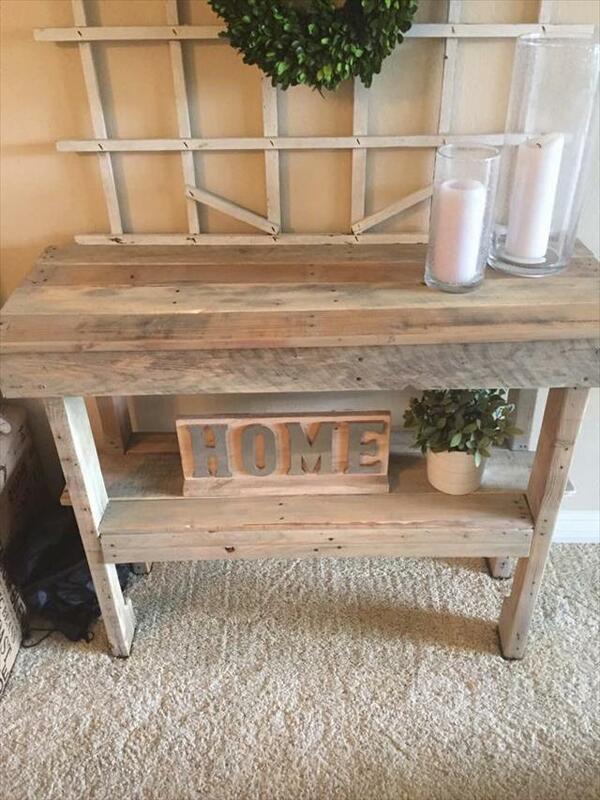 It can easily be crafted with individual straight boards of pallets so disassemble a few of pallet boards first if need to clone it! The rustic appearance would all be rocking for your mid century modern entryways and you can even create a distinguished modern look of it by going with your own selected custom paint shades! After the top level, there is also a lower shelf that can display your items for bigger statements of decors! 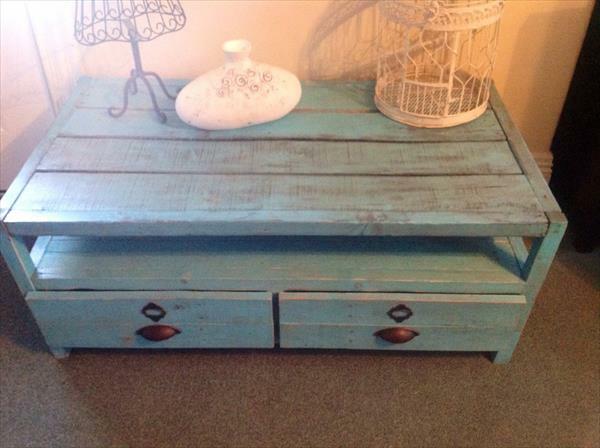 Table can also be grabbed as a living room sofa table and also as a precious hallway decorative console!